Is there some unwanted junk lying around your home, bringing your spirits down? Don’t let rubbish piles and old furniture clutter up your space and ruin your vibe any longer. Now is the time to reclaim your happiness with a neat and tidy home using our DA1 house clearance services. 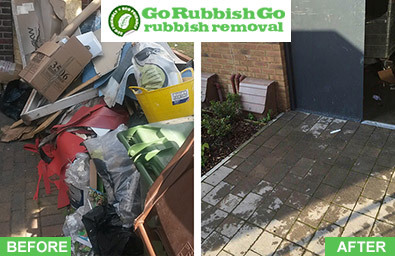 Here at Go Rubbish Go we offer excellent house clearance Dartford services that are reliable, professional, and completely affordable. Don’t hesitate to call us today on 020 8610 9182 to find out how we can restore your DA2 home to its full potential. At Go Rubbish Go we understand that not everyone has a money tree growing out the back. Therefore, we provide reasonable and realistic Dartford house clearance prices. If you’ve wanted a good old fashioned DA1 house clearance for some time but have always been concerned about the budget, let us take that stress away from you. Chat to our friendly customer service representatives today on 020 8610 9182 and find out more about the excellent value for money we offer. We won’t be beaten in Dartford DA2! The list of reasons we are the best house clearance in Dartford is a long one. The best way to understand what makes us stand out from the rest is to experience our clearance services today. We are committed to providing reliable, professional, customer-centred house clearance DA1 services. We take into account all of your needs and requests when processing your appointment. 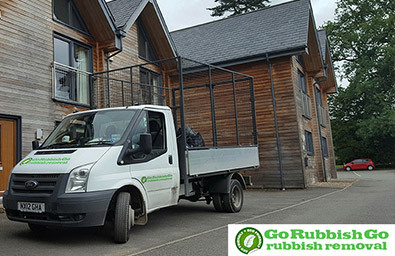 Not only this, but we are environmentally friendly and committed to disposing of waste in an ecological and sustainable manner. When you ask us to be at your house at 3 pm, we will be there at 3 pm on the dot! We are extremely reliable and efficient in this way. In all our years in the DA1 house clearance industry, we have never disappointed anyone around the neighbourhood. This is because we strive for 100% customer satisfaction. Therefore, if you call us up in the morning with a request, we will be able to get to your place in the same day. You won’t need to worry about a thing with our reliable Dartford house clearance services DA2. Book now on 020 8610 9182! You may have been starting at that giant pile of junk for weeks, wondering how it is going to get out of your house. Perhaps you have been eyeing off the old furniture you stacked in the corner, hoping it will magically disappear because you can’t fathom moving it yourself. Well, that is why you need to get us on the house clearance DA1 case. Our professional team members have great training and are very skilled at moving anything out of the house. They make everything look so simple and easy. It is all part of the magic touch that you get when you use our house clearance in Dartford. 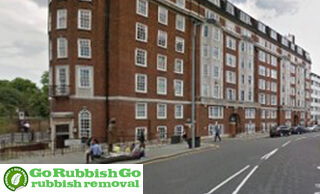 It has taken years of experience in the DA1 house clearance business to get our company to such expert levels. We are proud of what we have achieved over the years and strive to continue growing as a Dartford house clearance business. Over the years we have refined our training techniques. This means that all our team members are expertly trained in correct ways to lift, shift, and handle items and objects during your house clear-out. You won’t find a stronger, more reliable, and better trained team than us. We look forward to making your life easier with our experience and professionalism. A town in the Borough of Dartford in Kent, Dartford is located on the border of Kent and Greater London. The town is situated around the River Darent and is a prime commuter town for those working in London. Around the River Darent are picturesque buildings, such as the Holy Trinity Church and the St. Edmund’s Park. The Central Park is a large space of over 26 acres which is used for many cultural and community events throughout the year. In the town centre, the Orchard Theatre can also be found. Dartford F.C. and Fleetdown United are based in Dartford.